1860s has the Sunday Ticket again this year. Enjoy watching in the Game Room with fellow football enthusiasts. There are food and drink specials all day and night. We have $6 meals, pizza specials, $15 Domestic Beer Buckets, $5 Bombs. And not just Sunday! 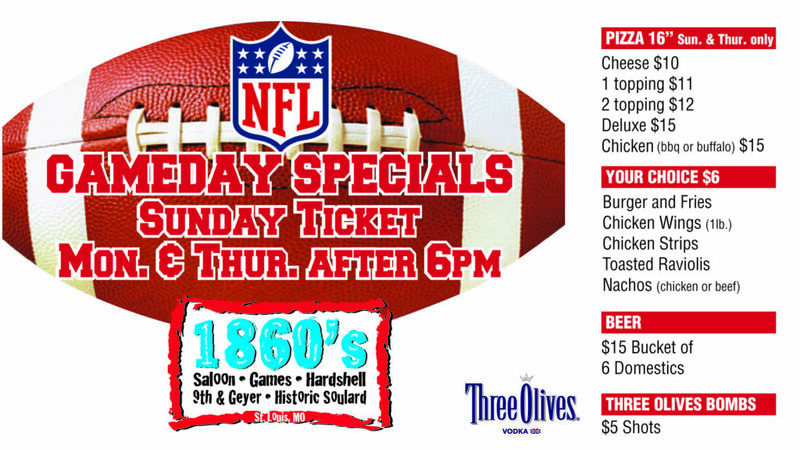 We have Monday Night AND Thursday Night Football Specials for the NFL broadcasts.